The novel Haken Anime! was written by Mizuki Tsujimura with illustrations by CLAMP. It was serialized in an・an magazine from 2012 to 2014, each chapter featuring an illustration drawn by CLAMP. The novel was compiled in a book that was released in 2014. 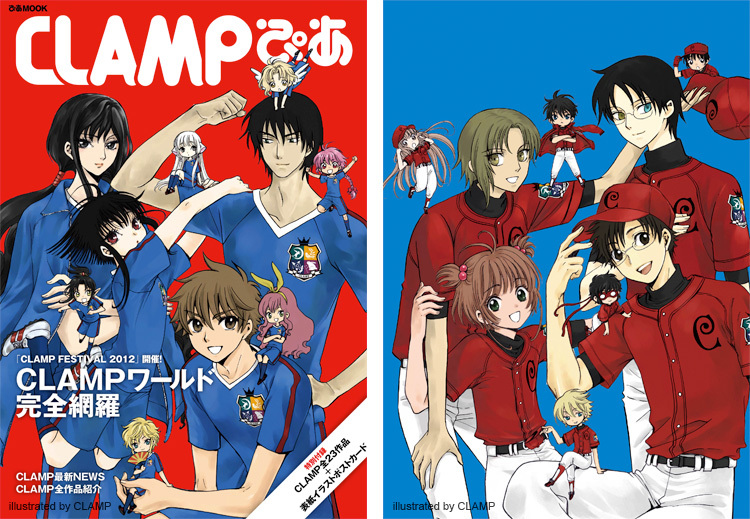 Apart from the cover and one inside illustration, none of the other illustrations drawn by CLAMP were included in the book release. It’s been announced that a paperback version is going to be released on September 6. The cover for this edition can be seen on the right. If the majority of CLAMP illustrations were not included in the book version, chances that they are going to include them in the paperback version are very slim, if you ask me. That is a shame, since the illustrations were so nice. But who knows? Source: Haken Anime! Facebook page. It will be released on September 22. For those interested, you can order a copy on CD Japan. I am guessing this is part of the actual PV that is produced by PRODUCTION IG (it looks very cheap, if I may add). On other news, for those who were worried about the future of our favorite website, CLAMP-NET.COM, I sent an e-mail to the site’s administrators and they replied to me saying that more information will be announced on the website in due course. The theme song for the CLAMP FESTIVAL 2012 is called Sora, Kaze (ソラ、カゼ) by Kotani Kinya, who also performed the theme songs for the Tsubasa anime and movie. The single includes a DVD with a special movie produced by PRODUCTION IG (4 minutes length). The single also comes with a random (out of 2) Mokona seal. There will be a new mook/fanzine by CLAMP entitled “CLAMP Pia” (CLAMPぴあ) to be released on September 22, in celebration for the CLAMP FESTIVAL 2012 events. The latest information about XXXHOLiC, Drug & Drop and GATE 7. Introduction to all 23 CLAMP works, and some works outside the comics. Map access to the venues, tickets information. CLAMP will draw a new illustration for the cover. A4 / full color / 96 pages. ☆: Appendix: 24 postcards featuring illustrations from all 23 CLAMP works + the magazine cover with new illustration. Booking through Pia Book you get an exclusive clear file. UPDATE: Also, there has been some changes in the chapter schedules for both GATE 7 and Drug & Drop: more breaks ahead. 08/03 – Young Ace #09 – Chapter 10 – 3 color pages (title page + spread). First chapter of tankoubon 2 (on sale). 09/04 – Young Ace #10 – Break. 10/04 – Young Ace #11 – Break. Drug & Drop will be resumed on Young Ace #12. 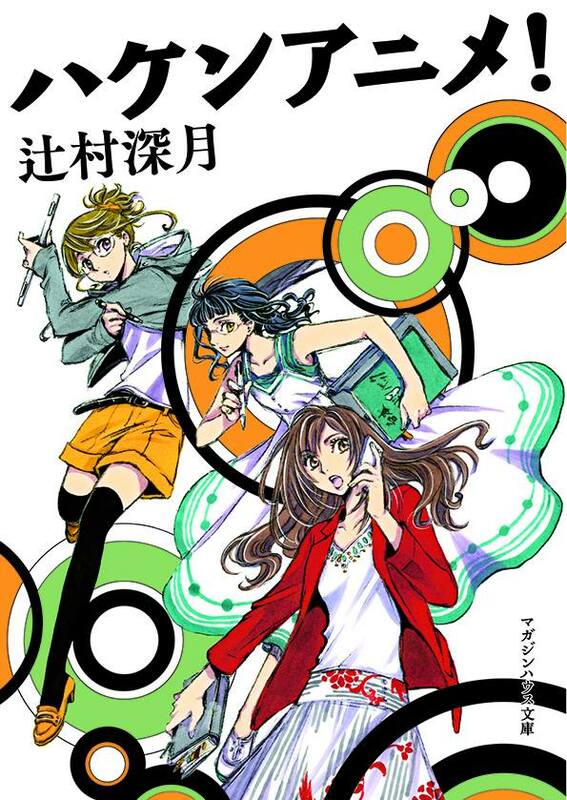 08/03 – Jump SQ #09 – Chapter 18 (on sale). 09/04 – Jump SQ #10 – Break (CLAMP changed that. Chapter 19 was at first scheduled for this issue). 10/04 – Jump SQ #11 – Break. First break for GATE 7 in a very long time. And a double break, on top of that! Is CLAMP taking some time off? Nothing new from them before November. 07/04 – Young Ace #08 – Chapter 9 – Last chapter of tankoubon 1. (on sale). 08/03 – Young Ace #09 – Chapter 10 – 3 color pages (title page + spread). First chapter of tankoubon 2. First time we get a break for Drug & Drop since the beginning of its serialization. Also, I don’t know why the release date for volume 1 hasn’t been announced yet… weird. 07/04 – Jump SQ #08 – Chapter 17 (on sale). 08/03 – Jump SQ #09 – Chapter 18. 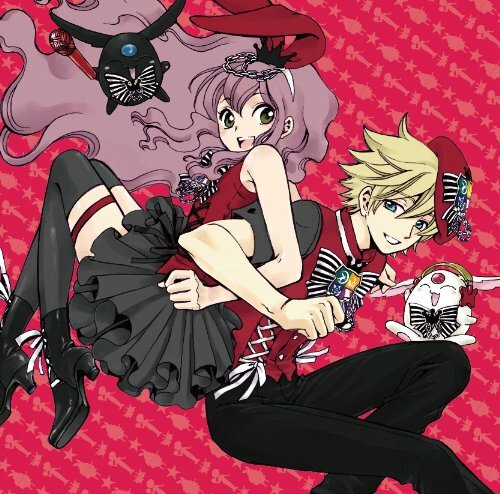 09/03 – Jump SQ #10 – Chapter 19. The “Ultraman’s Sister” illustration that CLAMP drew (check it out here) for the Fuji TV show “Omoshiro Kotoba GAME OMOJAN”, is on display at the United States Odaiba 2012 event since July 14 until September 2 in Odaiba, Tokyo. A new trailer for Code Geass: Boukoku no Akito has been released. The movie opens on August 4 on selected theaters in Japan. Check out the CM for GACKT and CLAMP’s stage play “MOON SAGA”! Seems like all the attention is focused on GACKT, though =/ (CLAMP is way too small on the credits LOL). The first installment will premiere on July 15.